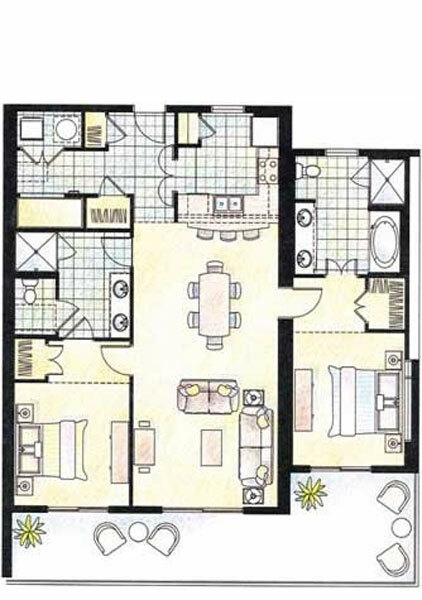 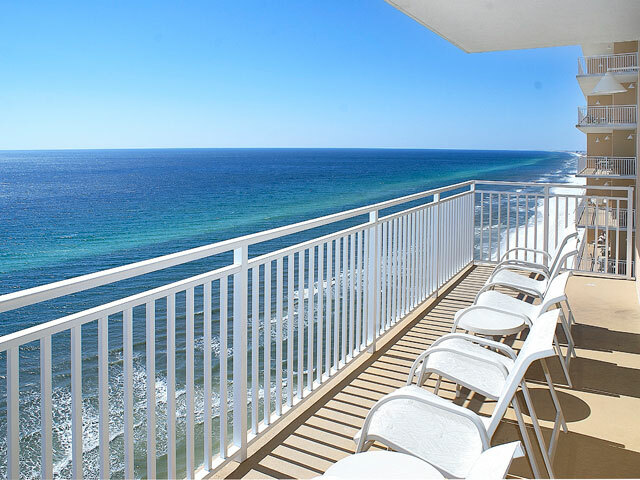 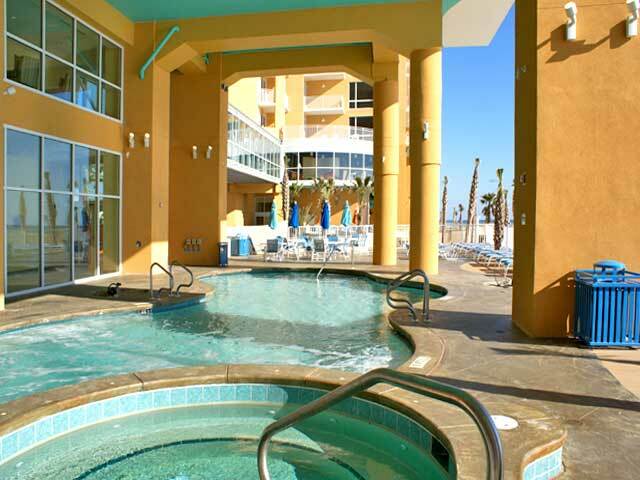 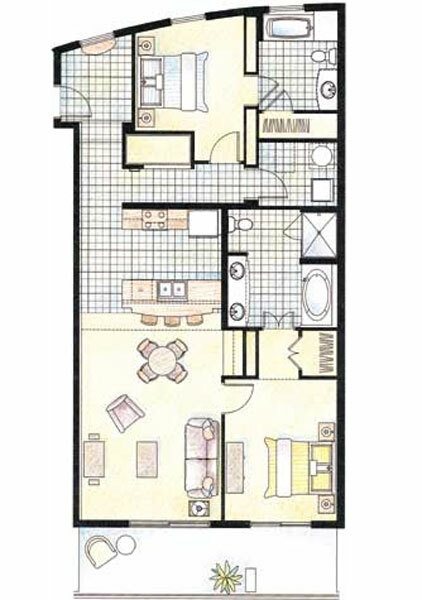 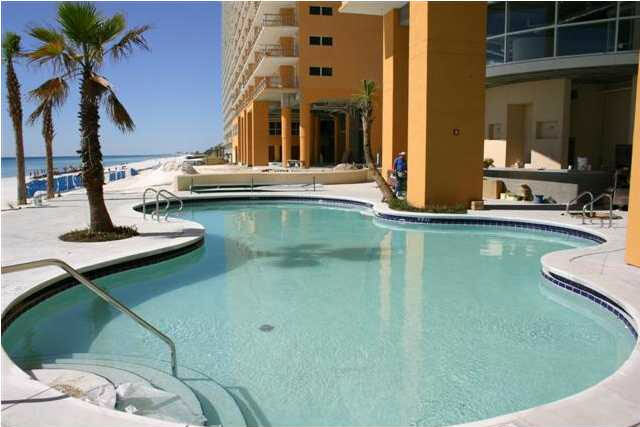 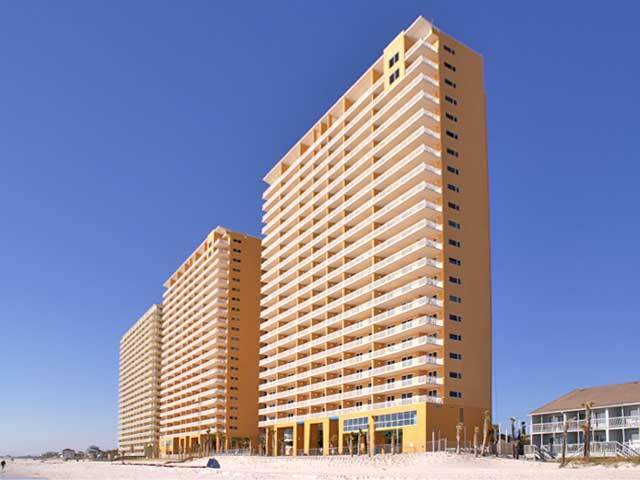 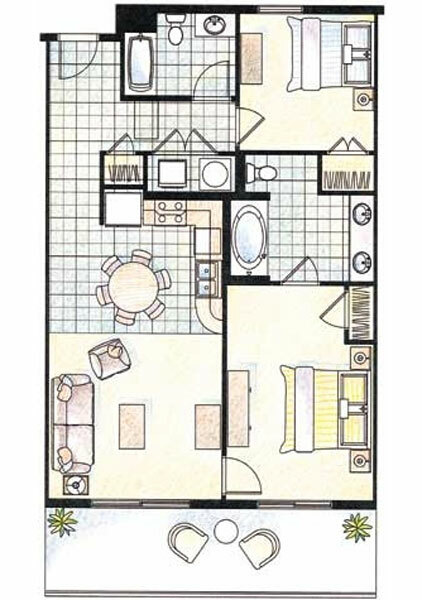 Completed in the spring of 2007, Splash Condominium features 400 feet of prime gulf front real estate in a resort setting on the west side of Panama City Beach, Florida. 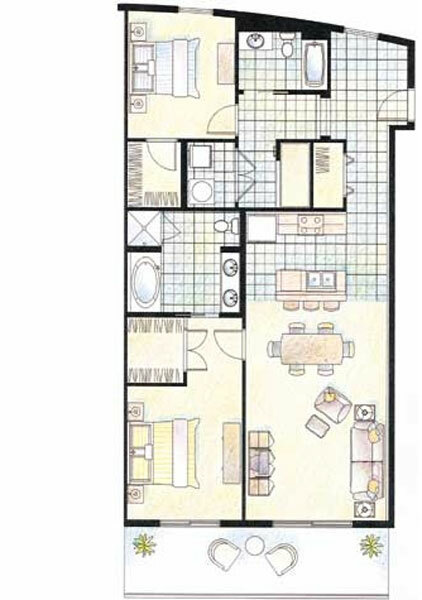 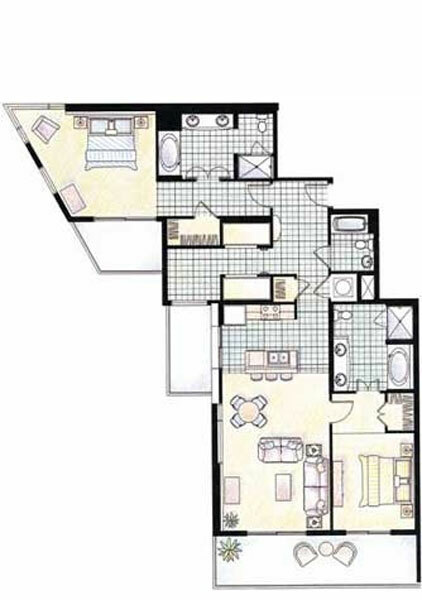 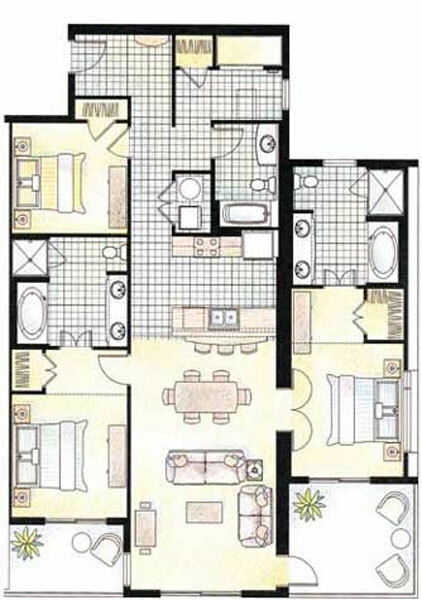 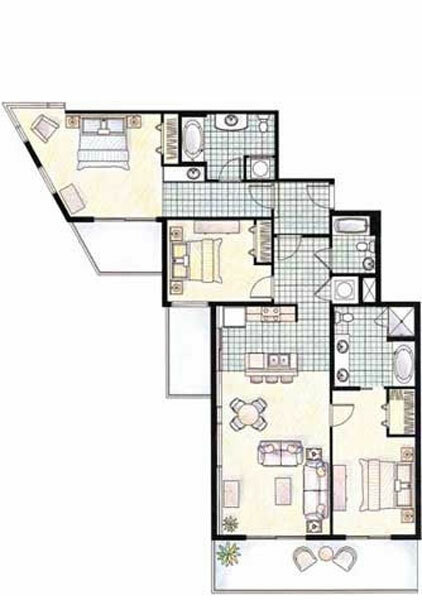 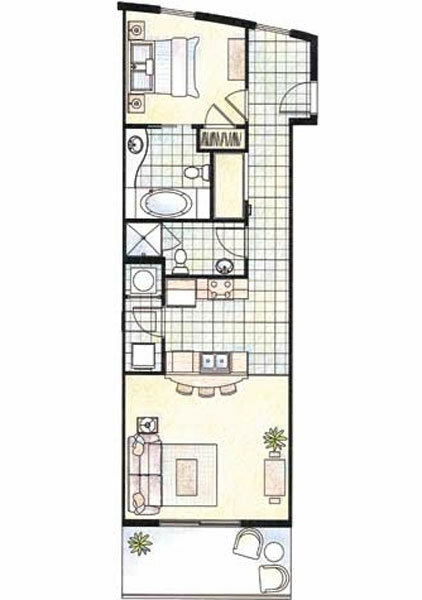 The property includes two towers with a total of 290 condo residences. 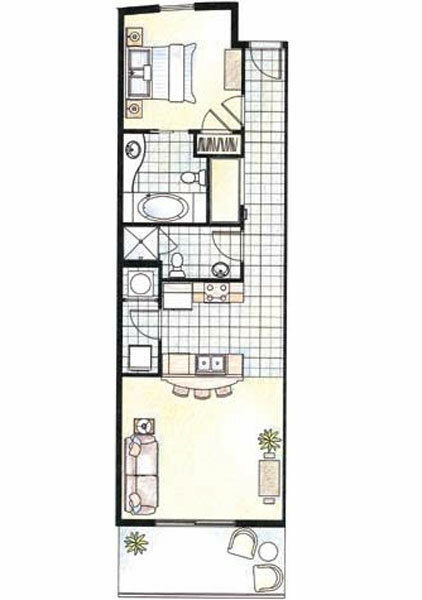 Condo floors 1-19 in each tower each have seven condo units, while floors 20-21 are penthouse levels with six condos on each floor. 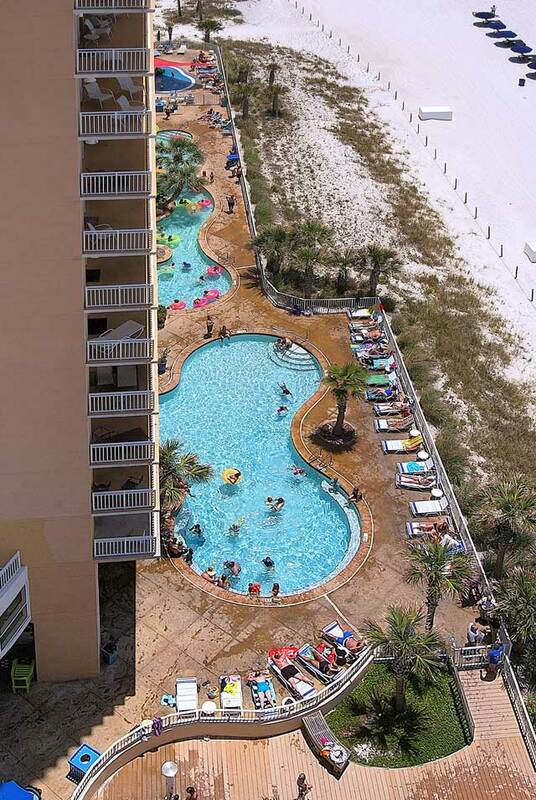 In addition to these stories, each tower has a lobby level as well as a ground level with pools and other amenities. 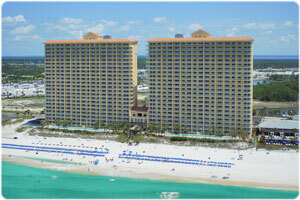 Parking for the east and west towers is across the street from the resort in a parking garage. 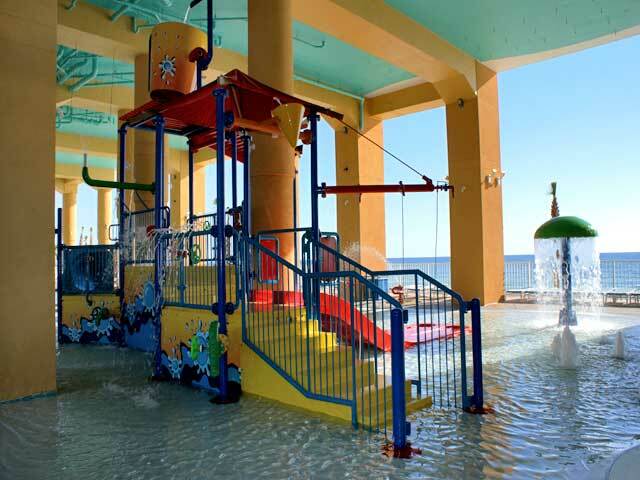 Amenities for the condo resort include a fitness center, children's splash pad, waterpark, outdoor pools, arcade, lazy river and a beachside bar. 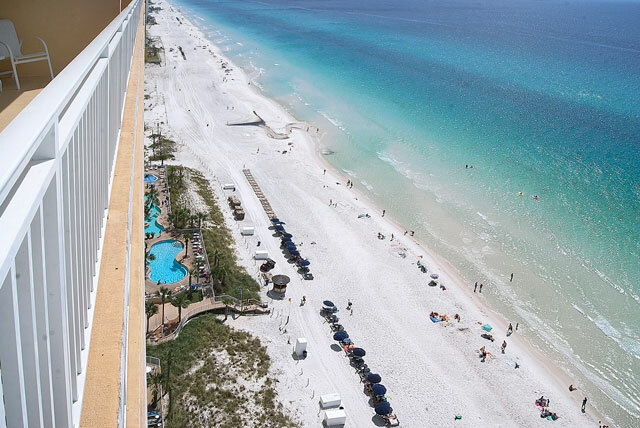 There is also an onsite rental check-in desk. 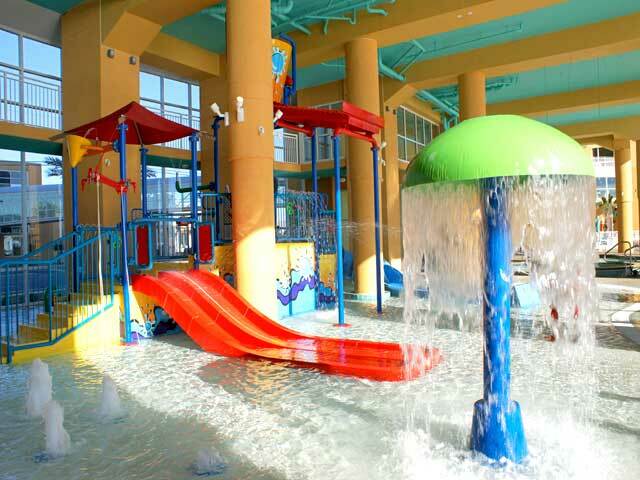 Residents and visitors enjoy a market at the resort itself and other commercial establishments such as Alvin's Island, a shop for swimwear, toys, souvenirs and more. 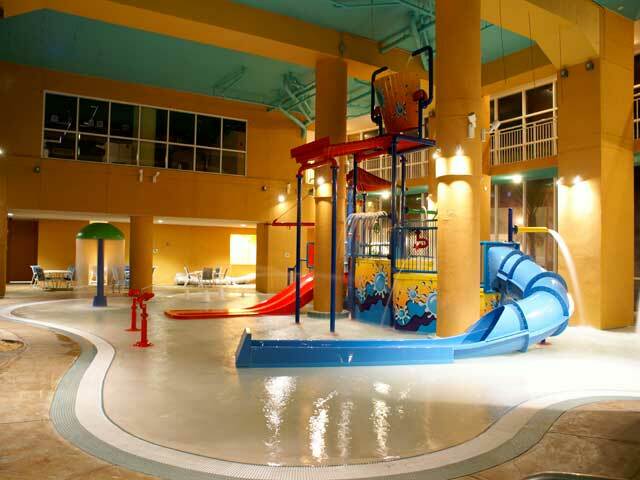 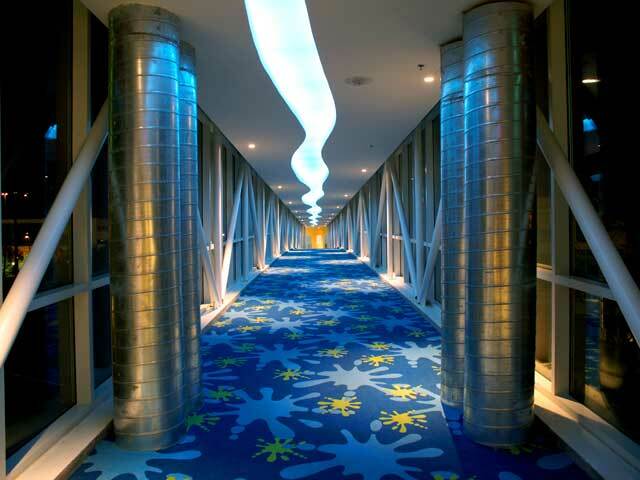 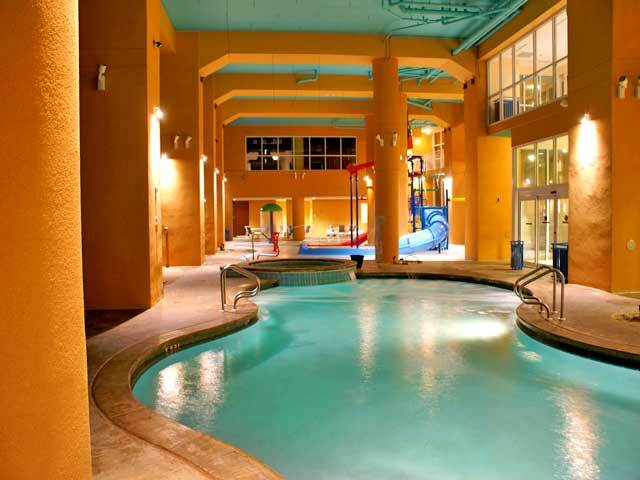 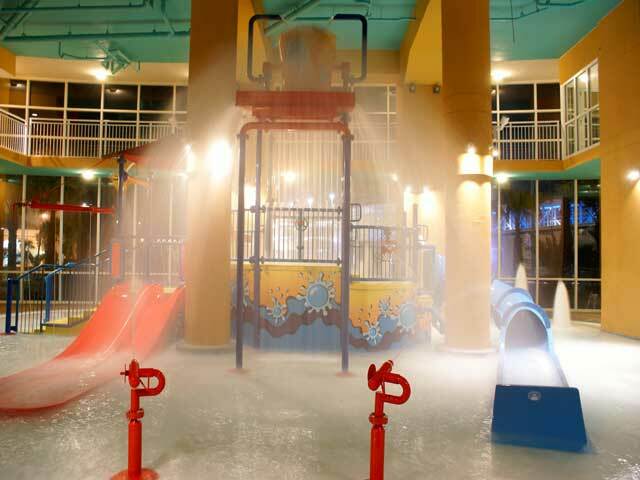 Splash is a family-friendly resort that features many activities and amenities for parents and children alike. 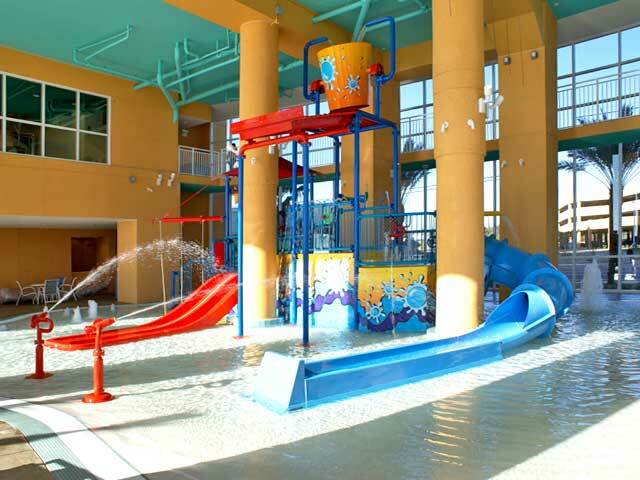 Children can enjoy the splash pad with its waterslides, cannons that shoot water, a mushroom waterfall, large bucket that pours gallons by the hundreds on the splash pad area, and more. 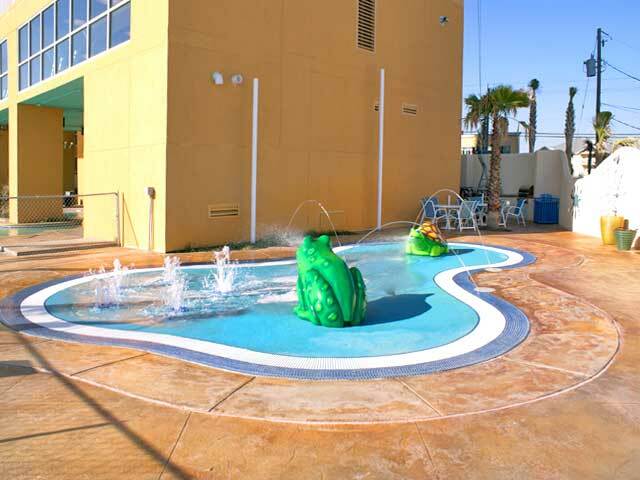 The Lily Pad is a smaller splash pad designed for younger children. 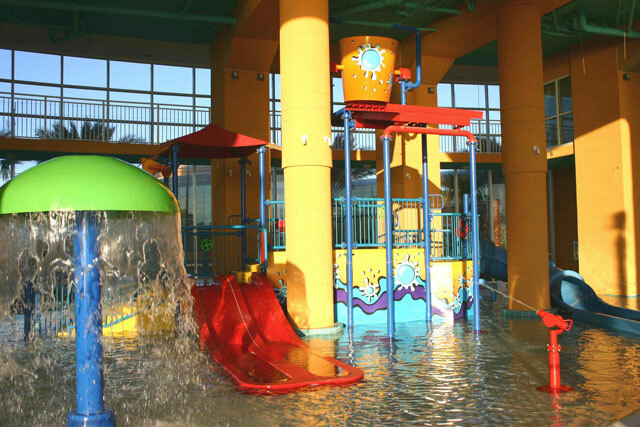 There is less water on the Lily Pad, making it safer for kids who are not good swimmers. 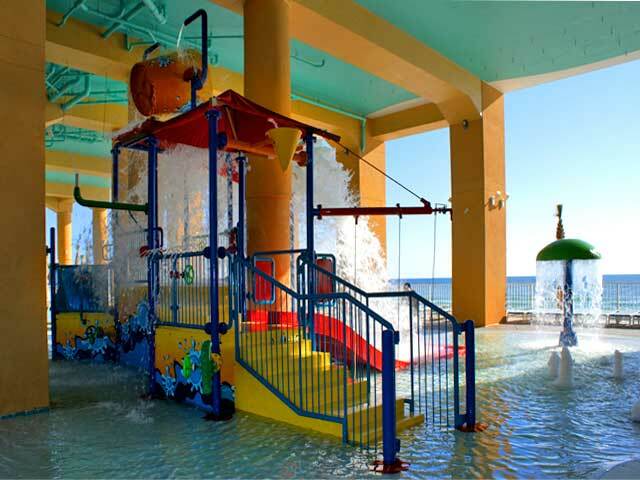 Other water activities include two different pools, one with a lazy river. 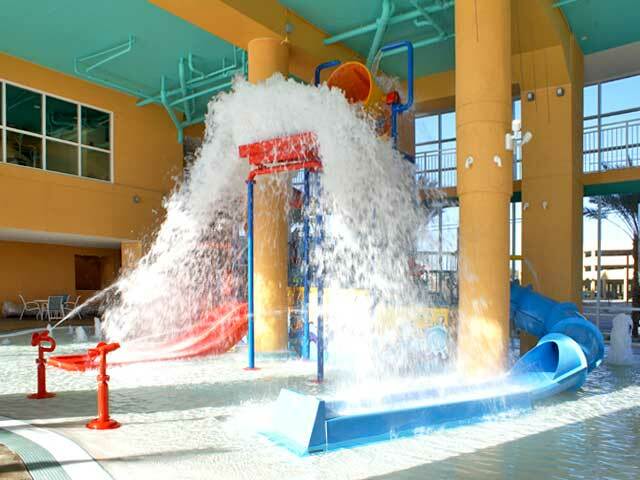 Besides the water activities, there are other options for those who are looking to stay a little drier. 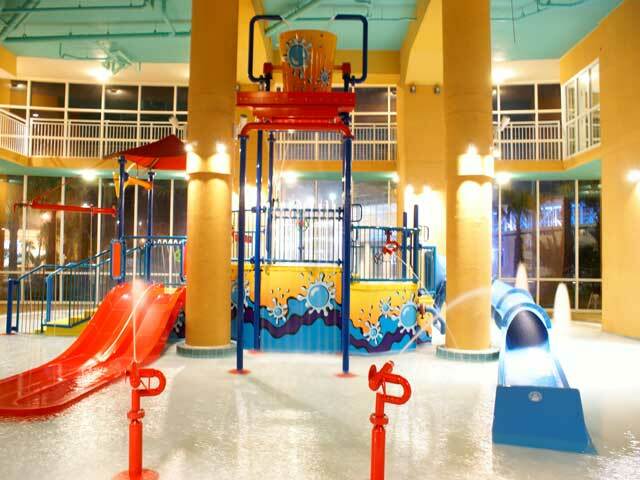 A kids area features video games and other fun activities. 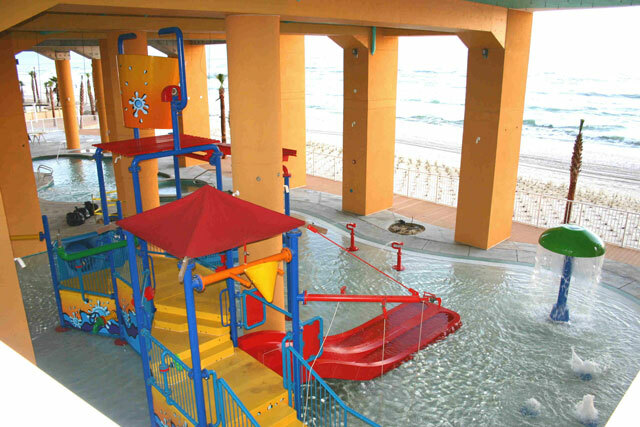 Adults and children alike can enjoy the bar and grill that is next to the pool located at the east tower. 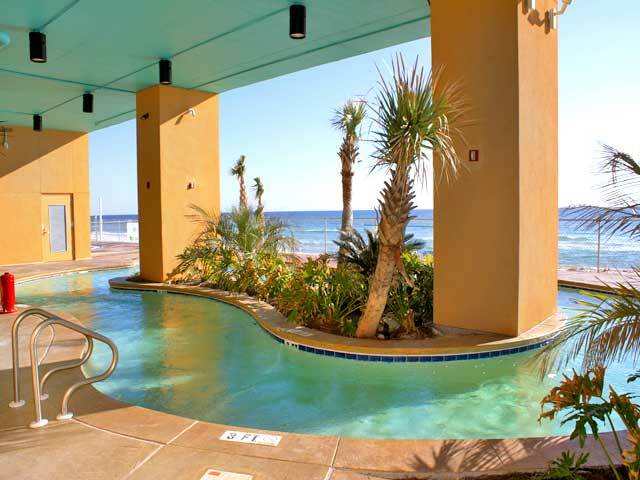 The fitness center overlooks the pools and the gulf on the lobby level. 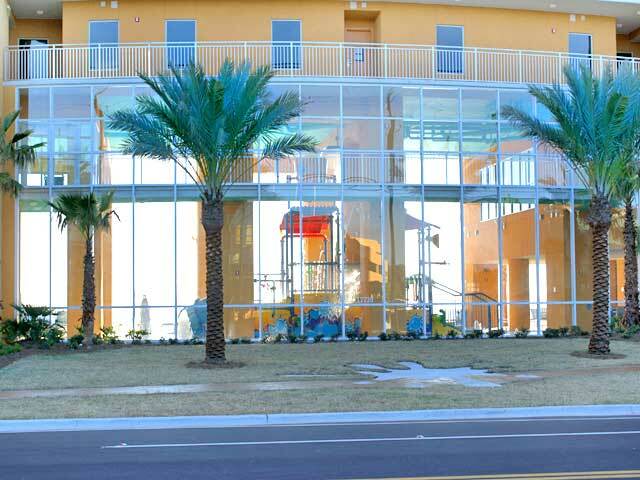 Residents and visitors can get snacks and other foods at the market located at the resort, and souvenirs, swimwear, and much more can all be purchased at Alvin's Island.